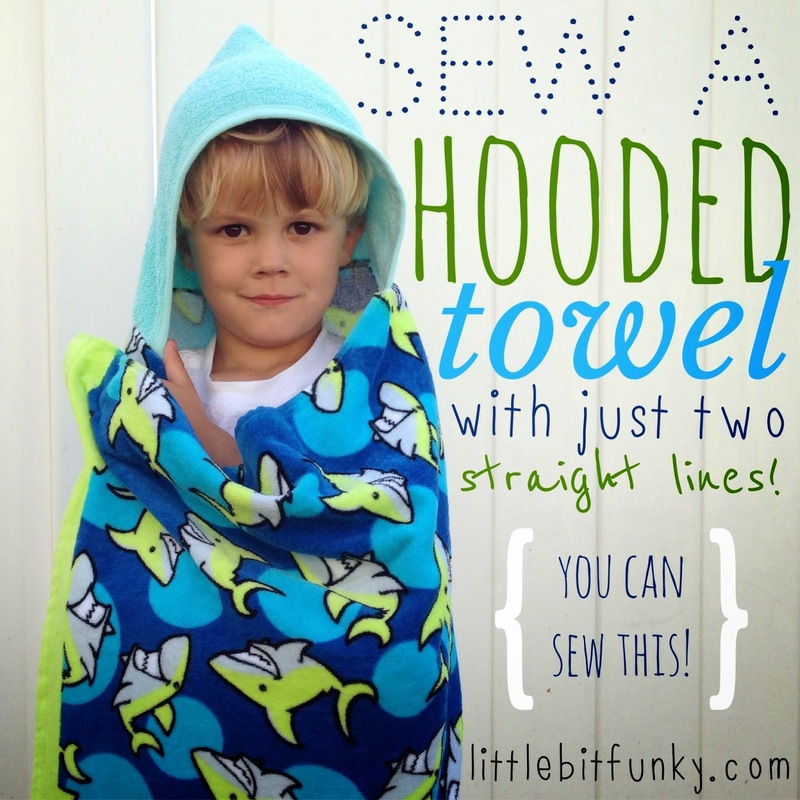 Little Bit Funky: Make a hooded towel for the Beach or Pool!! 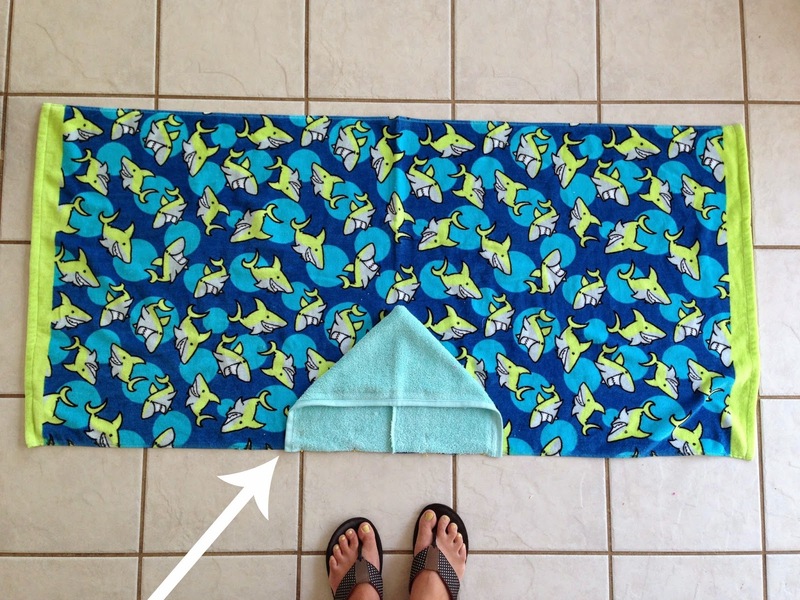 Make a hooded towel for the Beach or Pool!! 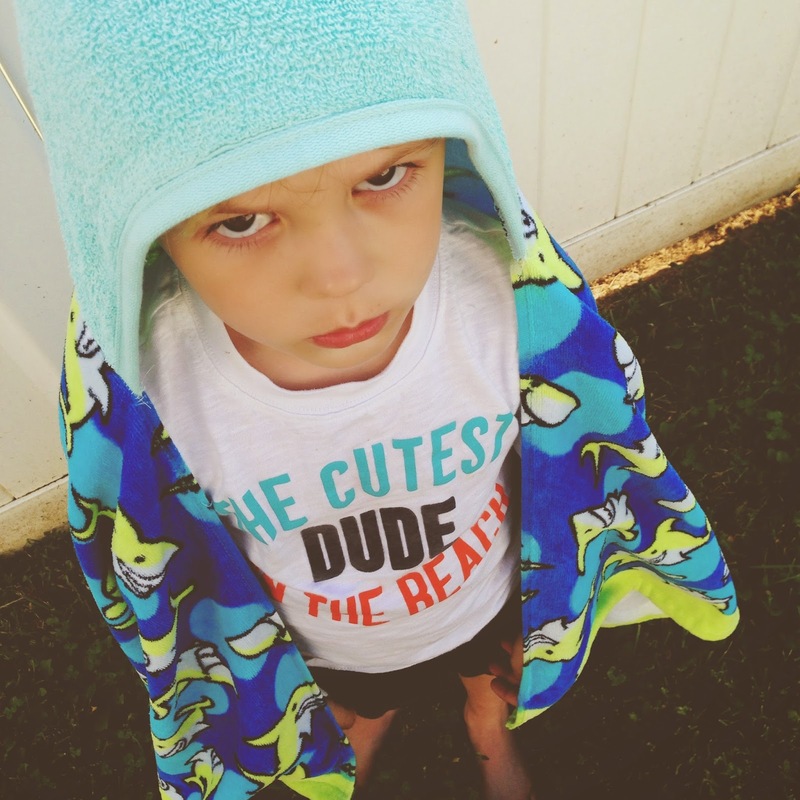 We live at the pool in the summer and the last few years the boys had a couple of pool robes (made from towels and a simplicity kids robe pattern) but this year, they no longer fit and I honestly had no interest in making new ones. So...I thought I would make them a couple of hooded towels instead! The best part is that they take just a few minutes and a few dollars to make! And AND you only have to sew TWO STRAIGHT LINES! You can do this!!! Clearly he is pleased about his new towel. 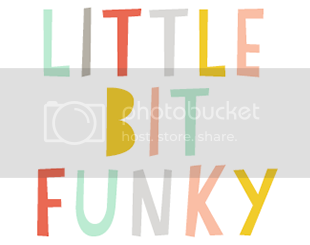 Can't you tell? 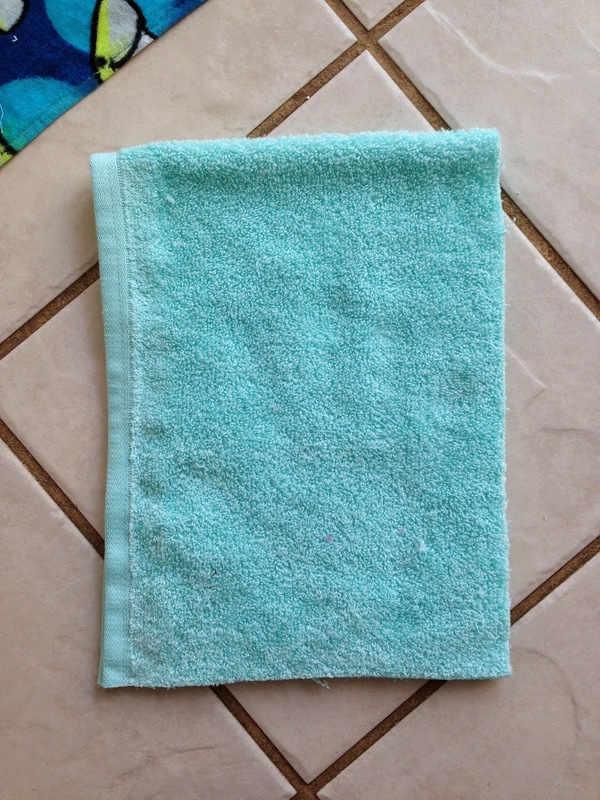 You will need a beach towel (I got mine at TJMaxx for $8) and a coordinating hand towel (or a regular towel if you plan on making multiples) cut into a 9in by 18in rectangle (with a finished edge as one of your long edges) see photo above. 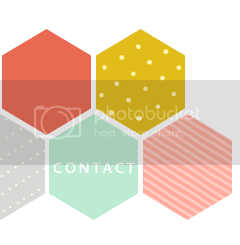 Fold it in half as shown above. 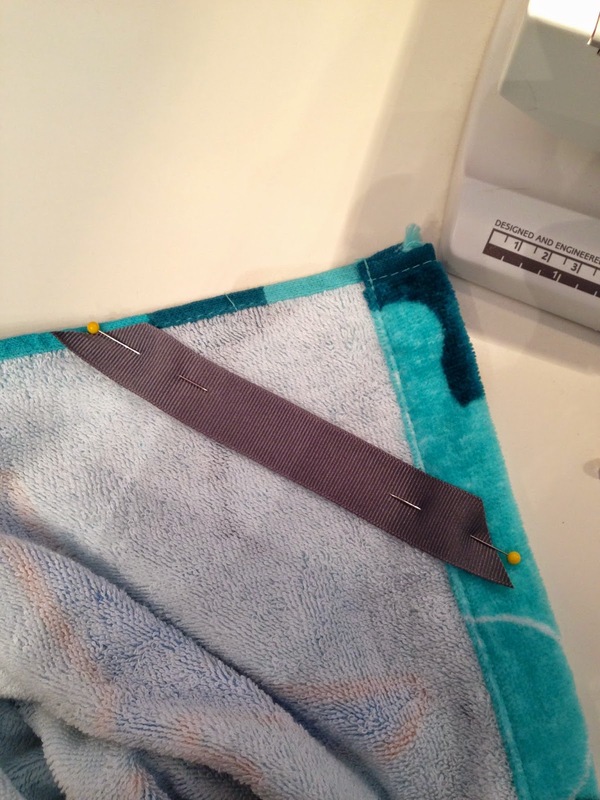 Sew along the edge opposite of your finished edge with "right" sides together. 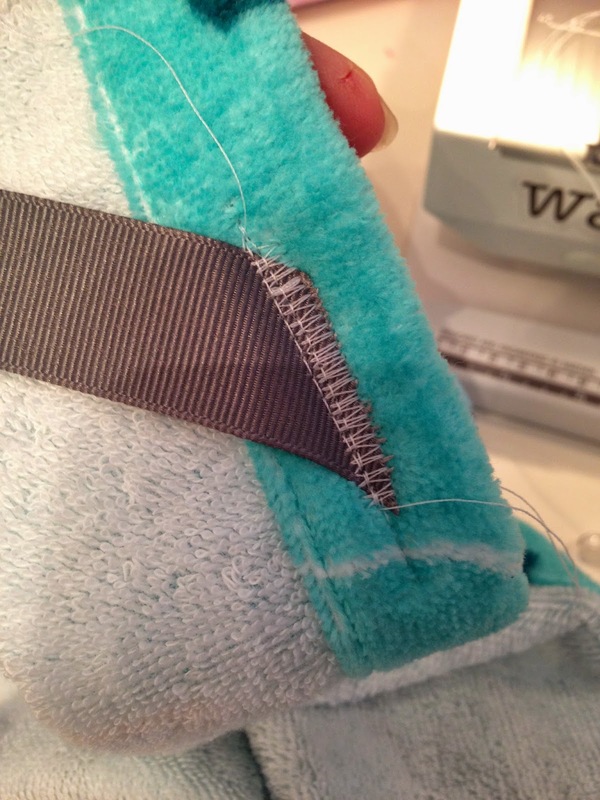 I did a straight stitch and then a wide zig-zag stitch on top to keep fraying to a minimum. 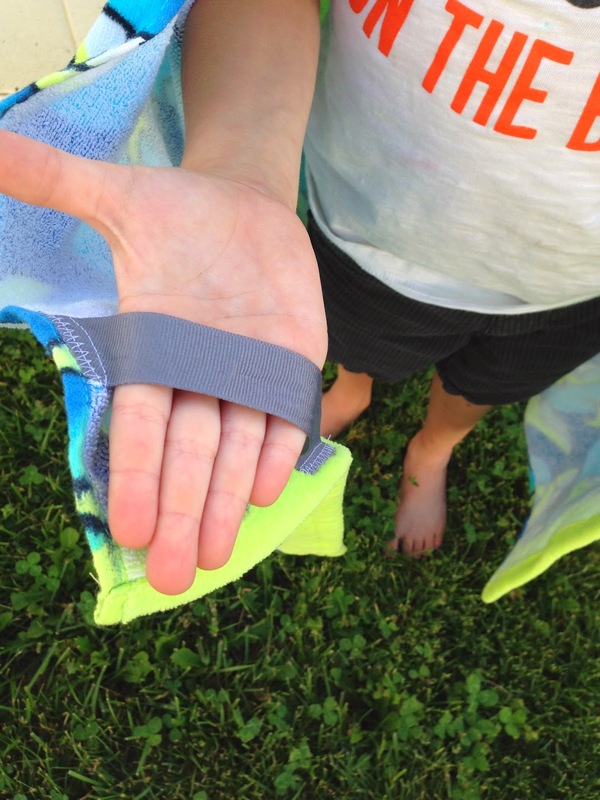 Find the center of your pool towel and pin it to mark it. 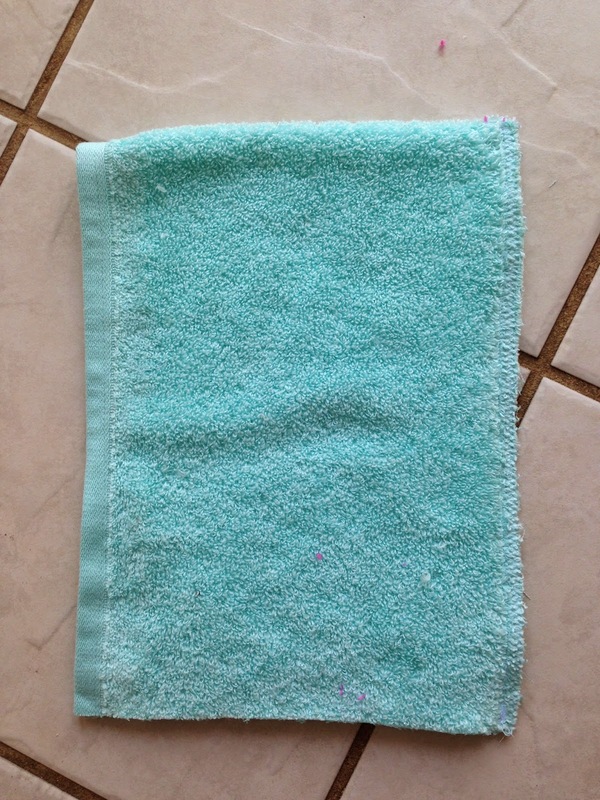 Turn your little hood right side out and pin it on the center of your towel as shown below (right sides together). 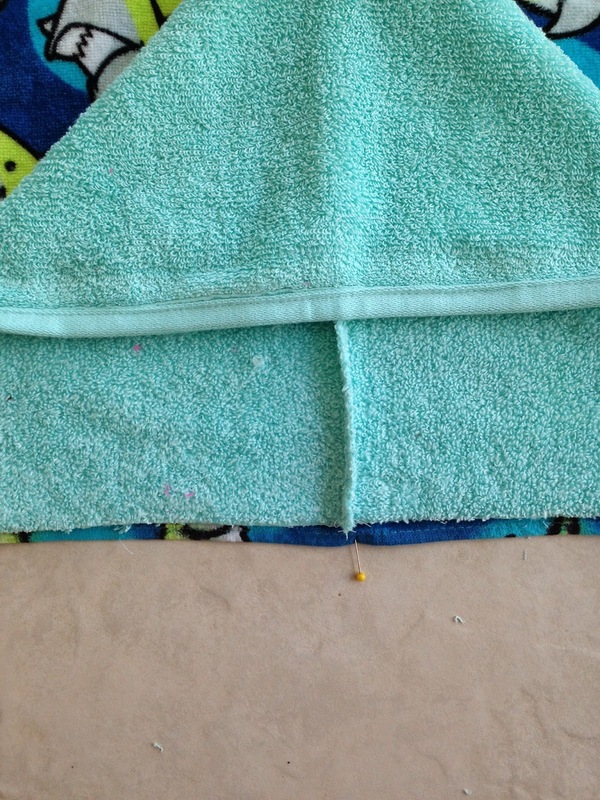 Add a couple of "handles" to the top corners to make your towel extra snuggle-able! 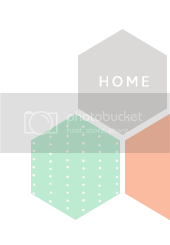 Just grab some scrap ribbon, pin it as shown above (to the two corners on the same side as your hood). And straight stitch and zig-zag again! And now not only are you done, but you're a rock star! Won't these be the perfect gift for birthdays this summer? Add some goggles and call it done! This a great idea and the cutest ones I’ve seen. I definitely prefer the hood being in the middle rather than on a corner. I think I’ll whip up a few this weekend. Thanks.